One More Happy Ending is your average romantic comedy that presents us with the problems women face in marriage and divorce. Ex-pop stars and girl group members traverse through uncertainties of life while finding their soulmates, saving their marriages, or putting up with forced ones. The story kicks off when our leading lady’s classmate makes a re-entry into her life, and bringing with him, her Prince Charming — or so it seemed. 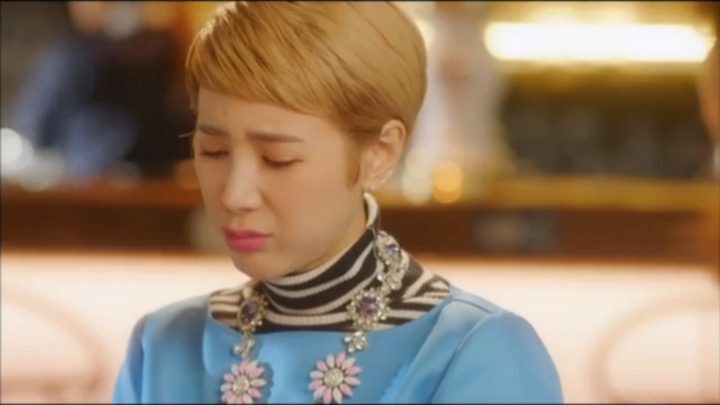 It took me just thirty minutes into the drama to realize that it’s consisted of four subplots that work together to elucidate its uncanny theme of divorce and marriage problems of people in their 30s. The four stories are connected by our female protagonists, who have remained thick friends even after their girl group disbanded. The drama compensated its flaws with an awesome cast, amazing comedy, and heart-melting romance. I’d like to note that One More Happy Ending is strictly made for people who like watching rom-coms. First off, all the characters are quite intangible and superficial. Then, none of the events unfolding around them are realistic, let alone logical. As a person who can appreciate a bit of exaggeration and excuse some unreal scenarios, I enjoyed this drama. Even still, there were quite a few dry spots in the drama that were hard to get through, and quite a few character dispositions that made me cringe. 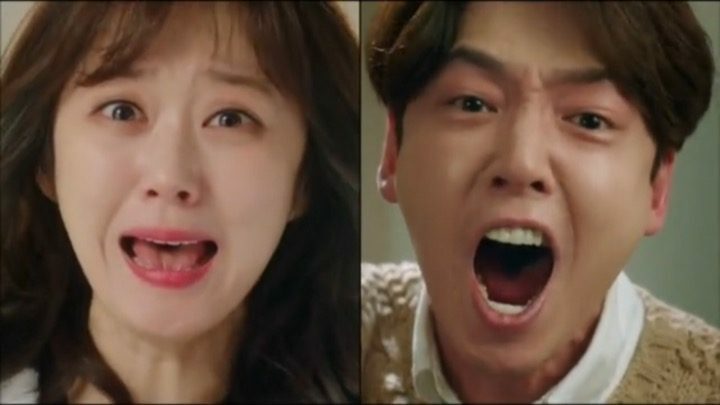 One More Happy Ending compensated its flaws with an awesome cast, amazing comedy, and a whole lot of heart-melting romance. 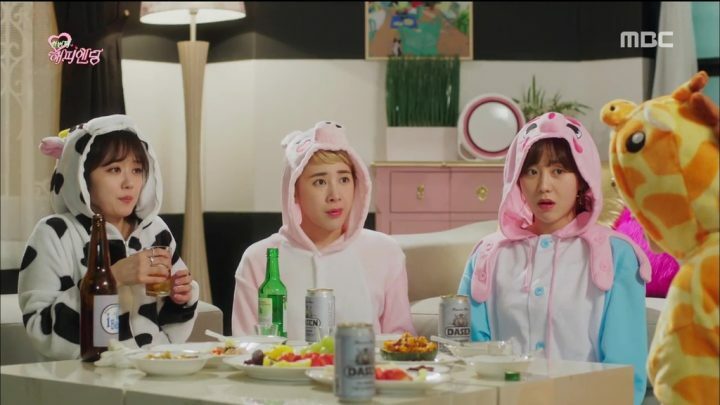 These first few episodes of One More Happy Ending form a solid foundation on which all the stories and drama unfold. 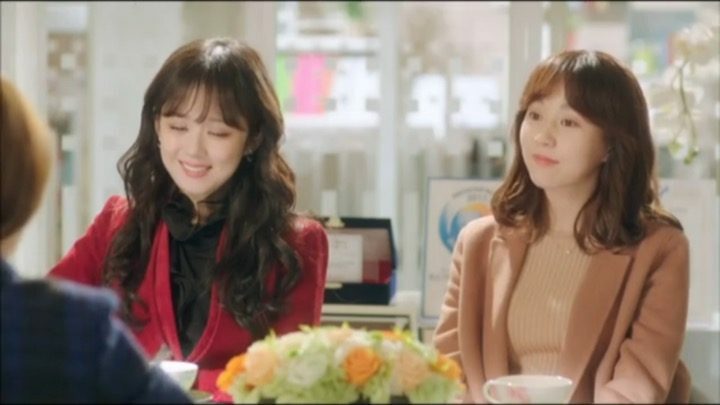 We first meet our heroine, Han Mi Mo (Jang Nara), a pristine divorcee who runs a successful Remarriage Consultation business along with her best friend Baek Da Jung (Yoo Da In). Da Jung’s marriage seems to be rocky while her health is in even worse shape. 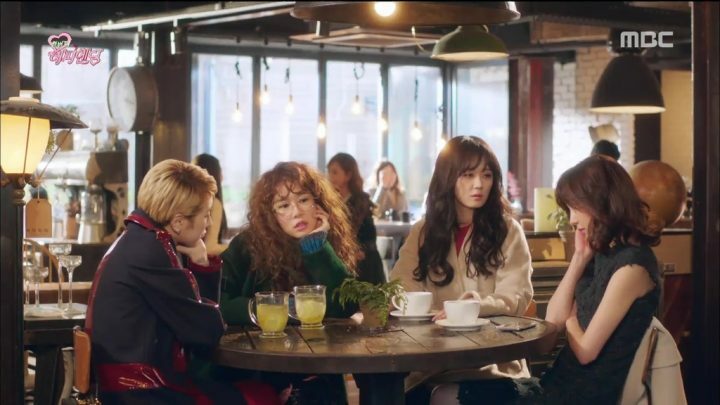 We also learn that Mi Mo, Da Jung and their other girlfriends, Go Dong Mi (Yoo In Na), an elementary school teacher, and Hong Ae Ran (Seo In Young), a model, were all part of a girl group that disbanded after an internal feud with the fifth member. Mi Mo is portrayed as a highly naive person with a sarcastic undertone. While she doesn’t mind being alone, she desperately wants to get married to elevate the credibility of her company. Most of all, she seems to be a person who falls in love at the drop of a hat, and lets her feelings flow in whichever direction they decide to — without thinking about the repercussions they may bare in the future. It was Mi Mo that I found the most superficial and intangible out of all other characters. Her best friend, Da Jung, seems to be a very strong woman who is crumbling from the inside because of her marriage. She wants to protect her only son from the pain of separation. She also seems trustworthy and mature, as her friends often turn to her when they have problems. Next comes the innocent girl, Dong Mi. She has been searching for true love for a long time now and doesn’t seem to be able to find it. She doesn’t know whether it’s her wild curly hair, or lack of feminine form, or her makeup-less face that’s stopping viable bachelor’s from approaching her, but she firmly believes that she will find her happy ending any day now. No one can be as naive as her in reality, but I did enjoy watching the comedic on-screen ordeals this woman had to face. The youngest of the lot is our supermodel, who wants to be single forever but succumbs to familial pressure to marry the next guy with a ring. She’s very clear about what she wants and what she doesn’t, but no one seems to listen, let alone respect her desires. As far as Ae Ran’s personality goes, she’s the epitome of a best girlfriend. She fiercely protects her friends with preposterous sass and sarcasm and is extremely loyal. Now it’s time to meet the guys. 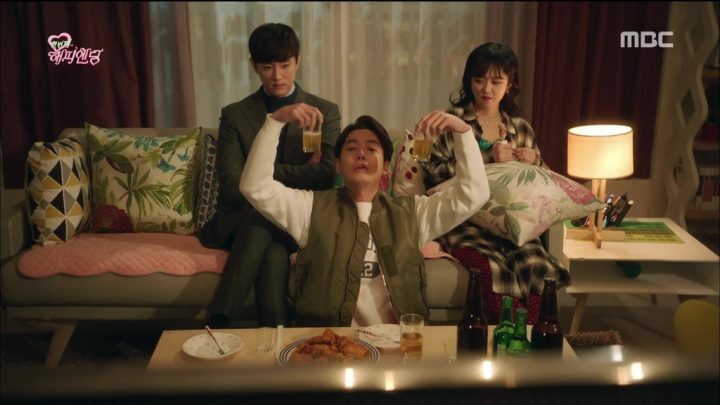 Mi Mo’s classmate Song Soo Hyuk (Jung Kyung Ho), now a tabloid reporter, makes a come back into her life, contributing to a lot of funny and adorable scenes in the drama. Soo Hyuk brings with him his best friend, Dr. Goo Hae Joon (Kwon Yul), who’s charming mannerisms make Mi Mo fall head over heels for him instantly. Our hero has been a diligent single dad for thirteen years now, without setting eyes on any girl — something that worries his son a lot. Soo Hyuk is a very capable father who can do just about anything, from cooking to stealth reporting. 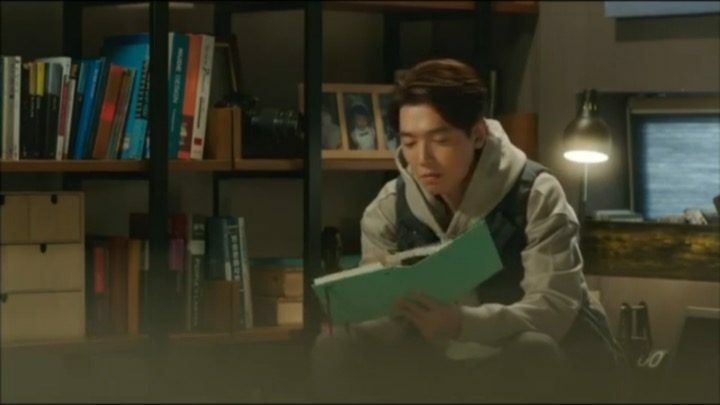 He happens to be crushing on our heroine without anyone knowing, while she keeps her eyes on Hae Joon. 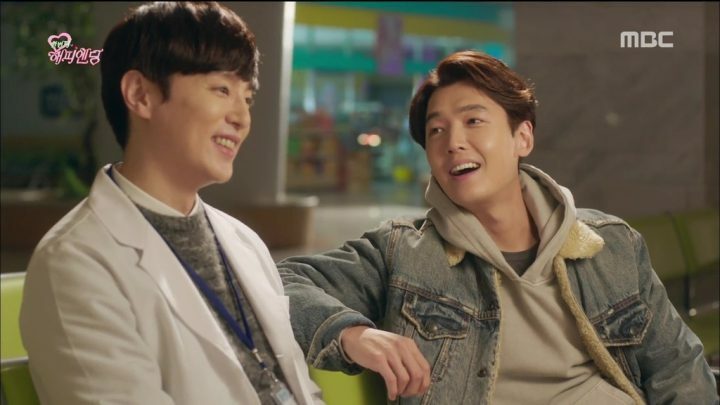 Hae Joon is the cool, charming doctor who has also been fond of the heroine for a long time now. But the way he treats his woman isn’t exactly likable. Despite the colorful cast of characters, these episodes had quite a few drawbacks when it came to the storyline. There were numerous dry spots and lapses of logic like the whole sequence where our leads don’t realize that they’ve been living across from each other until now. One other complaint was that Soo Hyuk had very little screen time. Otherwise, these episodes were quite passable. Episodes 5, 6 and 7 introduced new problems in a predictable way for all of our characters, while episode 8 was the best yet of One More Happy Ending. Whatever I already suspected would unfolded in a set of highly comical yet dramatic scenes. We see a bit of the hero’s past, which was really heart-wrenching and for once, rather realistic. 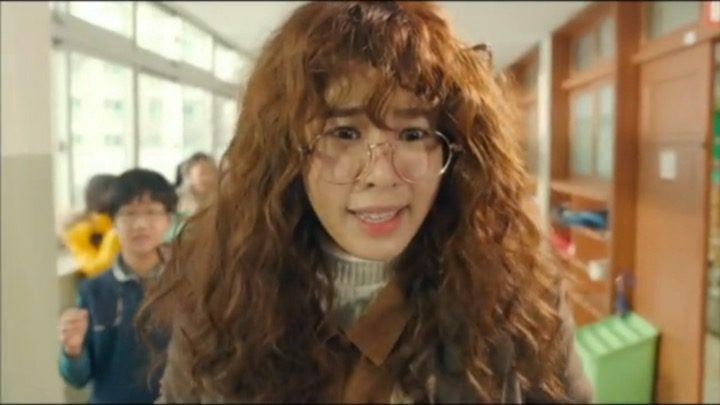 Da Jung’s health issues forced her to give up her identity as a woman, while Dong Mi realized that she was cheated by her so-called “True love”. I loved the emotional balance all four stories offered — Da Jung’s ordeal put tears in my eyes while Dong Mi’s newfound confidence made me smile. On the romantic front, Soo Hyuk realizes his feelings for Mi Mo. The love triangle is formed and deepened further from all the happenings in these episodes. Meanwhile, Hae Joon’s ex-wife is revealed and wants him back, putting Hae Joon’s and Mi Mo’s relationship in hot waters. On the other hand, Da Jung’s husband gets more dimension. We see that the two of them love each other, yet are afraid to take the first step. Their past is scrutinized too, leaving me craving for more of their romance. I loved the emotional balance all four stories offered. 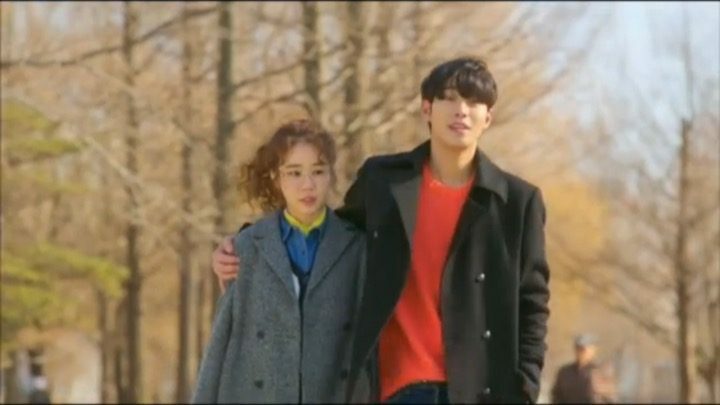 Overall, these episodes did a great job of improving the relationship between the girls while strengthening new ones, such as between Mi Mo and Soo Hyuk’s son. The two of them bond over Soo Hyuk’s single status and volunteer work. This next section of One More Happy Ending was really hard to watch. There were very little comedy and romance, but a lot of farfetched drama. These episodes lost the balance and momentum the previous ones built. Surprisingly, the hero also gets minuscule screen time here. These episodes lost the balance and momentum. Da Jung and her husband seem to come to a consensus while Dong Min finds herself a younger man, contributing a bit to the romantic front. Meanwhile, the love triangle reaches its boiling point as Soo Hyuk leaves the country just when Mi Mo finally realizes her feelings for him. While the four girls comfort each other through their difficulties, their friendship is highlighted here and became a definite plus in an otherwise boring set of episodes. I loved all the scenes involving the unbreakable sisterhood. One More Happy Ending brews a huge problem for Mi Mo, which provides the backdrop to accepting her true feelings. But I felt that the entire ordeal was rather cliche and illogical with only Soo Hyuk supporting her through it. In the twelfth episode, things clear up, with our leads finally acknowledging their feelings for one another and the estranged best friends make up in a set of hilarious events. However, holistically speaking, these episodes were a huge let down, with little dimension to any of the characters. One More Happy Ending, true to its title, does bring us an enjoyable and fun ending. For me, the ending is what saved this drama from the brink of destruction. From Soo Hyuk and Mi Mo’s lovey-dovey moments, to Dong Mi’s highly complicated and socially frowned upon relationship, from Da Jung and her husband’s rediscovery of love, to Ae Ran making up with her husband in a laugh-out-loud sequence, all couples receive a well-rounded ending. The drama does a wonderful job of clearing up the air and leaving its viewers with a content feeling at the end of the odyssey. I quite liked the ending for it gave a profound meaning to whatever happened earlier, even the seemingly nonsensical parts. But the fundamental problem with the drama is that it had too many cliche troupes that I lost all interest in watching at some points. As mentioned before, One More Happy Ending is simply one more stereotypical rom-com, not worth putting in my must-watch list, but enjoyable enough for a pastime.